Let's get serious-you need a premium feel for your premium reports and notebooks. 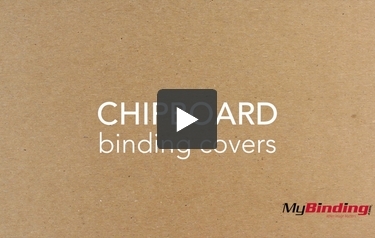 That's why you need our brand of Chipboard 35pt covers. They offer a simple structural support that can be an additional cover or stand by itself. These covers, made from 100% recyclable content, can in turn be recycled once done with. And, if you have an uncommon size of project, we have you covered! Along with the 18 different sizes available, we can also pre-punch your covers for you, making your life easier. And since these are such thick covers, they may not be cleanly punched through commercial punching machines-let us do the work for you!